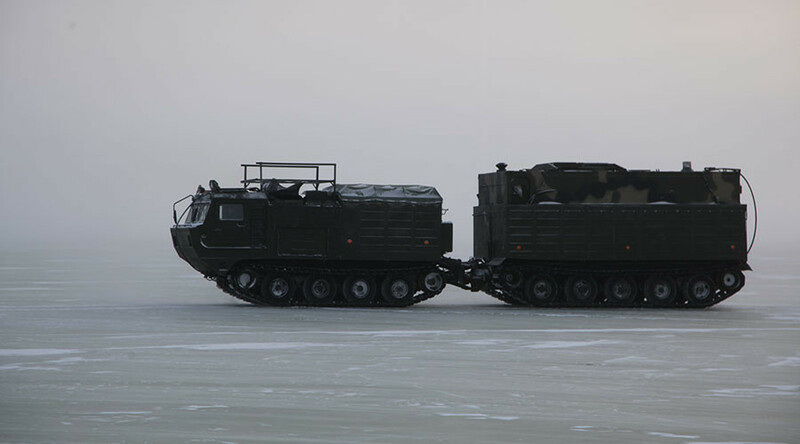 Russian military equipment is being put to a freezing test, the country’s defense ministry has said, as the cutting-edge vehicles are heading for the Arctic. 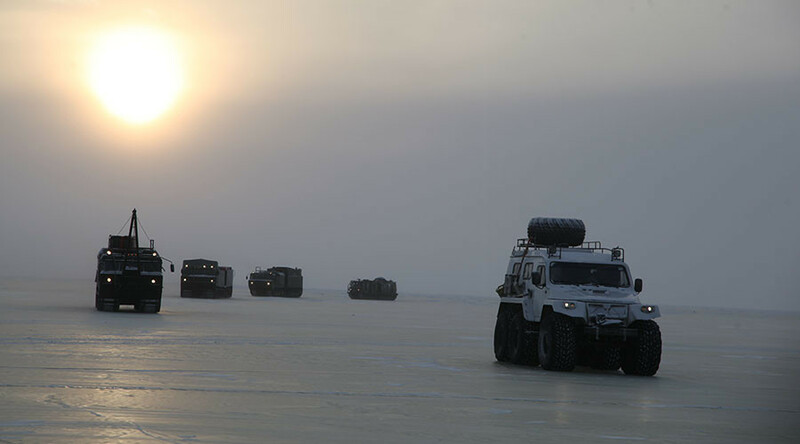 Over the next few weeks, the snow- and swamp-going vehicles will go through a very difficult route from the village of Tiksi in the remote Russian Republic of Yakutia (about 5,000km from Moscow) to Kotelny Island. They will travel through snow and ice on the Laptev Sea, a marginal sea in the Arctic, covering about 2,000km. The temperature in the area is now around -30°C (-22°F), which is rather mild for the region, considering it can drop to twice as low. However, this should not be an issue for the crews: they are all wearing Arctic uniforms, and the machines are provided with enough fuel specialized for the harsh Arctic conditions. 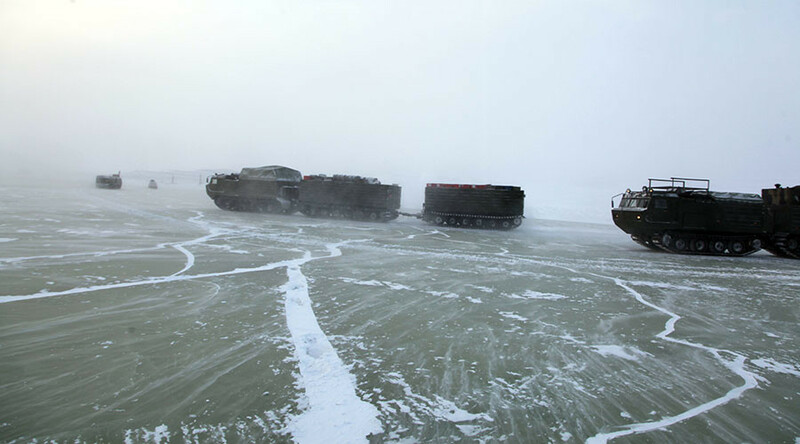 The vehicles will be put to the test to see if they can function properly in low temperatures, heavy snowstorms (with wind speeds over 35 meters per second), and deep snow. 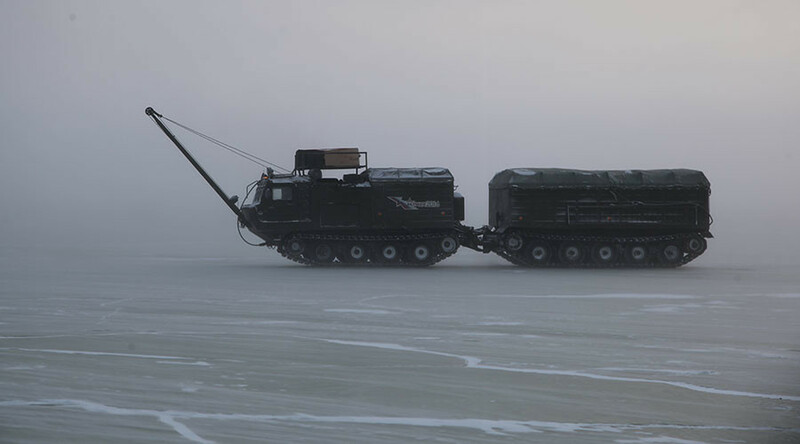 Among the vehicles and equipment to be tested are: army snowmobiles, crawler-transporters, framed and inflatable deployable rapid tents, equipment for estimating the thickness of ice, and cutting-edge water-purifying and distillation units. In March, a Russian Arctic forum is set to take place in the northern city of Arkhangelsk, with hundreds of participants scheduled to attend. Countries with territory in the region are represented in the Arctic Council: Russia, Canada, Denmark, Finland, Iceland, Norway, Sweden, and the US.